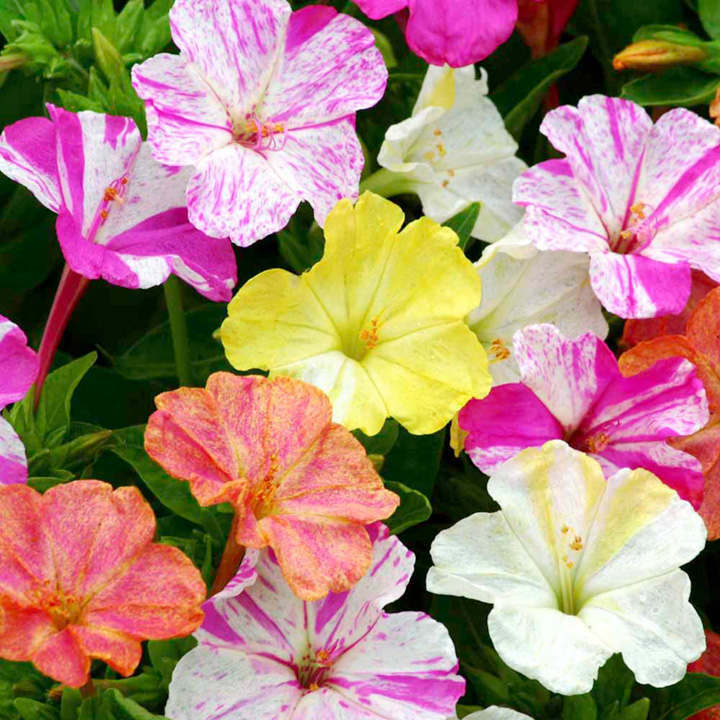 You'll be amazed by these beautiful striped bicoloured flowers. The fragrant blooms open in the evenings and they open until the following morning. Height 60-90cm (24-36"). Best grown as HHA - Half hardy annual. Plants flower late in the afternoon, but they are worth waiting for as they produce a delightful fragrance through the evening and night. Quite unique in being able to produce different colours on the same plant. Sow February-April to flower July-September. Suggested plant spacing 41cm (16").